Contributions (see articles section) of web site containing historical information about the AAGPBL. European Union (EU) Bookshop: All EU... European Union (EU) Bookshop: All EU publications You are looking for! European Union (EU) Bookshop: All EU publications You are looking for! 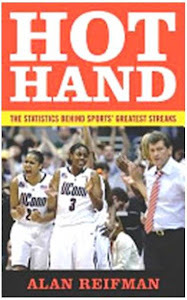 Site devoted to the "hot hand" in sports, with academic research devoted to analyses of sports streakiness.